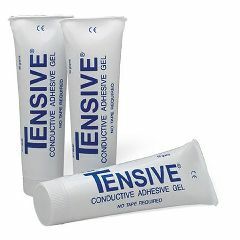 Safe, non-flammable conductive adhesive gel formulated for TENS, EMS, EMG, EEG and other electromedical procedures. Eliminates tape and tape irritation. 50 gram tube.